The BIG or Birmingham Informal Gathering is now on it’s fourth installment – talking place on 13th October 2012. This happily coincides with the Birmingham Zine Fest. At least 50% of the Stardub team will be in attendance and we should be recording a tourcast. There will also be a splendid Transformers zine available, only to folks on the day. 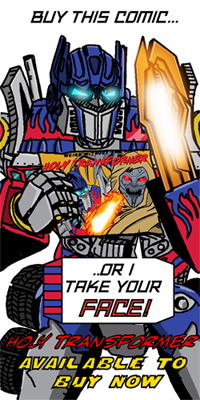 Transformers: RetroGeneration 1, take a trip back to 1992 with this old school fanzine. Details of contributors can be found here and check out the accompanying zine website, which looks in step with the times.